The award of Mazda Master Dealer signifies to our peers, community and customers that we have been judged by exhaustive assessment of Mazda Dealership business activities, to have reached a standard of excellence, which puts us at the top of our profession, not just in our state, but nationally. In order to receive a Mazda Master Dealer Excellence award you must rank as one of the top 5 performers of the Metro 1 Mazda dealer category in Australia in terms of overall weighted rankings when measured against the following indicators of Mazda business performance and compliance with Mazda standards. – Off site assessment of performance standards and business performance indicators. – Off site assessment of operational standards and dealership facilities. – Achievement of business targets. – Dealers share of PMA (prime market area) market. Acustruct is the name behind a wide range of custom-build homes and townhouse projects across Melbourne and the Mornington Peninsula. While the scale and style of our projects may vary, we’re proud to be known for the attention to detail of our designs and the exceptional quality of all of our builds. Driven by a passion for architecture and design, Acustruct was co-founded by Danny and Nancy Italiano to deliver not only homes of real value, but also an end-to-end process which is effortless for our clients. The long experience we bring from the industry means we are able to offer efficiencies in cost without sacrificing on quality or meticulous detail, as well as ensuring the budget and timeframe is set from the beginning. Our fully qualified team is here with you at every stage. With Acustruct, you’ll experience sound advice, straightforward communication and professional advice – all ultimately delivering more value for money. We liaise very closely with our associates and trusted contractors, including architects and interior designers, so you can be sure your dream home meets your exact vision. As proud sponsors of the Eltham Wildcats, Lavrin and Lawrence Orthodontics would like to invite team members to also join team Lavrin & Lawrence Orthodontics! If you’ve considered orthodontic treatment, we’d like to offer you a consultation with either Dr Igor Lavrin or Dr Sarah Lawrence for $70 (this represents a 50% discount) and complementary x-rays and photographic records. This offer is valid until 31st October 2019. No referral necessary. 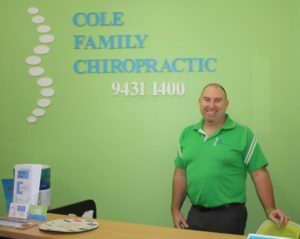 We’re conveniently located with practices in both Templestowe and Melbourne (CBD). Call today on 9846 3811 or visit us online to make a web enquiry www.lavrinortho.com.au. Terms & Conditions: 1. Advise staff when making an appointment that you are a member of the Eltham Wildcats Basketball club. 2. Offer only available to individual members and immediate family members of current team members. 3. Offer is a 50% courtesy discount on the consultation fee and includes complementary x-rays and photographic records. 4. This offer is not to be used in conjunction with any other offer. 5. Offer valid until 31st October 2019. Air Fusion proudly services all homes and businesses in Eltham, and the surrounding communities including; Blackburn, Bundoora, Doncaster, Doreen, Greensborough, Heidelberg, Ivanhoe, Mitcham, Ringwood & Rosanna. Air Fusion’s showroom has the latest technology and extensive range of air conditioning and heating products available in Australia as well other innovative home improvement ideas all designed to convert your home, factory or office into an ideal living space. Bring in your own plans & get expert advice up front. That family-centric sentiment is evident in our commitment to customer service – we put people first, repairing vehicles to the high standards our customers expect. We do a thorough job, ensuring all vehicles are repaired to pre-accident condition. And we go the extra mile to make things as easy as possible for our customers. That includes opening extended hours and weekends, offering an accident replacement vehicle, and returning your car fully valeted and detailed. *SPECIAL OFFER* for Wildcat members and their family & friends if you mention the Eltham Wildcats Basketball Club you will receive a $250 discount off your excess on insurance claims. If you are running a small to medium sized business, one of our great sponsors and supporters is Nick Ikonomou from CoachNick Business Coaching who is our local expert in Eltham. If you want better results from your marketing strategies, sales conversion, or recruit and lead great employees or even reduce the time you spend in your business, then, perhaps it’s time to talk to Nick. His first appointment is absolutely free to find out how this could work for you. Stoke brings the world’s most evolved fireplaces to Australia. Whether you’re after gas, wood or electric fires, we have the most exciting collection. We can also project manage your fireplace design and installation process from concept to completion. Operating throughout Victoria, Boxshall Electrical is a family owned business that provides their clients with a valued experience and comprehensive service. Since the company’s establishment in 2010, Boxshall Electrical has strived to offer their clients competitive prices as well as exceptional workmanship. They pride themselves on their high quality of work and their dedicated attention to detail. The friendly and communicative team at Boxshall Electrical are hard-working, honest and reliable, which has created a reputation like no other. 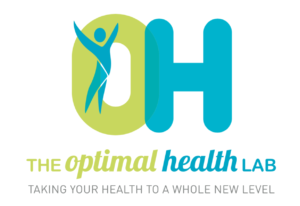 The Optimal Health Lab is a contemporary health destination established in Eltham founded by local siblings Lauren and Andrew Campbell. Our commitment to excellence sees our team of experts working with YOU to diagnose, rehabilitate, perform at your best and ultimately achieve your next level of health. Since its inception in 2017, the Optimal Health Lab has successfully established a loyal following and community within itself and in the Diamond Valley at large. Our team are proud to be officially partnering with Eltham Wildcats from 2019. We are beyond excited to be supporting this growing club, its athletes, associated families and surrounding community to embrace all the benefits of being part of local, representative and elite basketball. SP Solutions are the go to Business Advisory Accounting firm. They focus on ‘real numbers’ to enable you to live the life you dream of. Passionate about educating business owners on how to succeed with both professional and personal wealth goals, their Business Advisory, Accounting and Tax services work hand in hand to provide their clients with the tools they need to learn, grow and succeed. SP Solutions help businesses of all sizes and industries; from sole traders and start-ups to established businesses looking to grow to the next level. They are more than just a team of Business Advisors & Accountants – SP Solutions are educators who will turn you into a better business person. To book your complimentary consultation please call (03) 9355 0500, visit: www.spsol.com.au or email to contactus@spsol.com.au. Melbourne optometrist Eyecare Plus Eltham focus on comprehensive eye examinations, prescription sunglasses, spectacle frames, contact lenses and eye health care for the whole family.